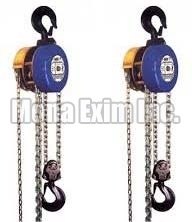 Extensively used in construction, logistic and other industries, our Engineering Power Pulleys are highly reliable. They have excellent mechanical strength and design. Hence, they are capable of carrying heavy loads with ease. Interested buyers can get them from us as per requirement. We offer them in different specifications to meet varied demands. Our Engineering Power Pulleys are economically priced. We are renowned Manufacturer, Exporter and Supplier of Engineering Power Pulleys.